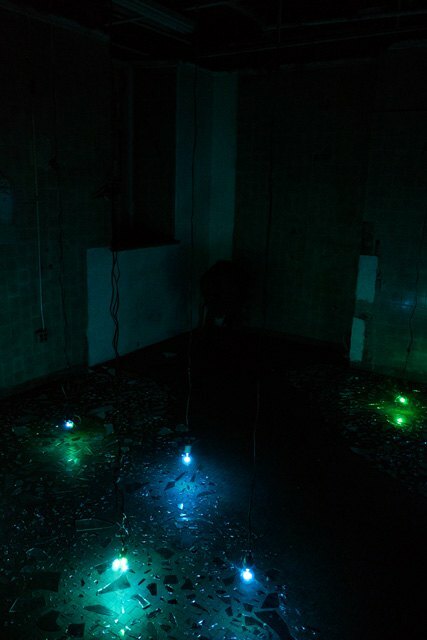 Art@Renaissance residency takes place in a labyrinth of rooms and corridors, which conjure their former function as a place of life and death. 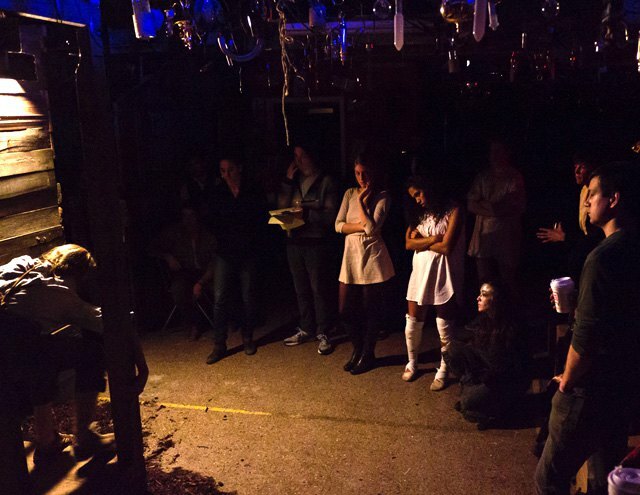 Located at the basement of a repurposed hospital in North Brooklyn, this charged space is a unique treasure trove for site-specific artists or performance groups such as In The Basement Theater Company, whose play, The Lady in Red Converses with Diablo, we reviewed last week. As evident in the evocative visuals of this play, the haunting history and architecture of the building inspire open-ended artistic possibilities. 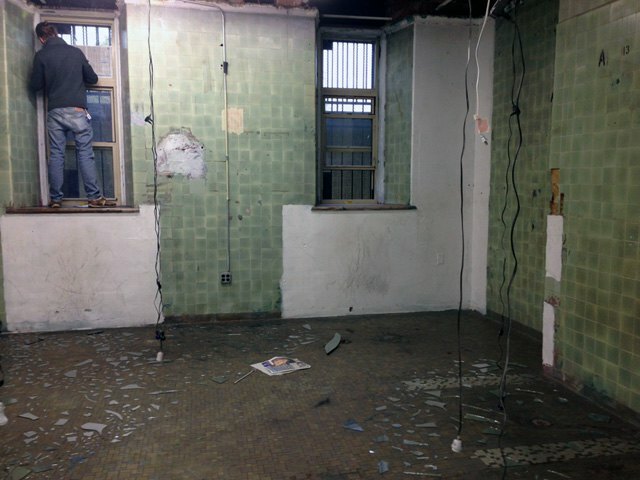 “With the site-specific residency we are seeking to preserve the space as a tribute to its past as a hospital while opening it up to groups of innovative artists making immersive or interactive work,” said Chris Henderson, A@R director, as he guided me through the residency space. As we wandered from room to room, we encountered members of the mentioned theater group in residence, In The Basement Theater Company, hectically preparing for the opening night. 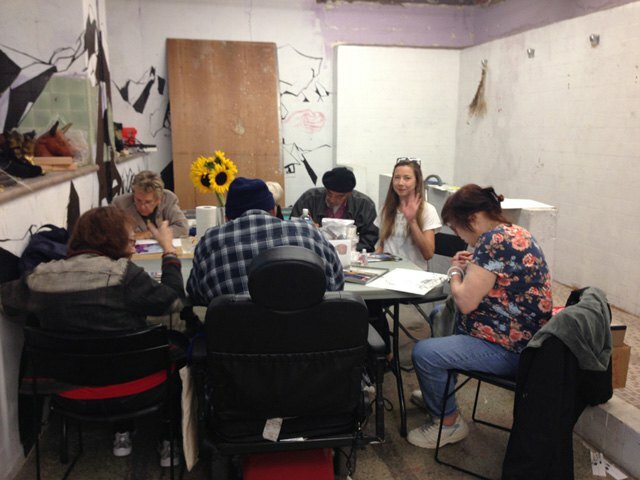 It was heartwarming to meet the friendly Bryce Cutler crafting furniture for the play in one room, then chat with some seniors painting in a group in the next room. “We're still a small shop with one part time staff member running all three programs,” Mr. Henderson explained. He tells us A@R requires that all participating artists in residency include low cost events, social justice themes or workshops for community members. A@R is as part of St. Nicks Alliance, a community development corporation that has been offering services to low and moderate income residents of North Brooklyn in areas such as education, affordable housing and healthcare for more than 35 years. 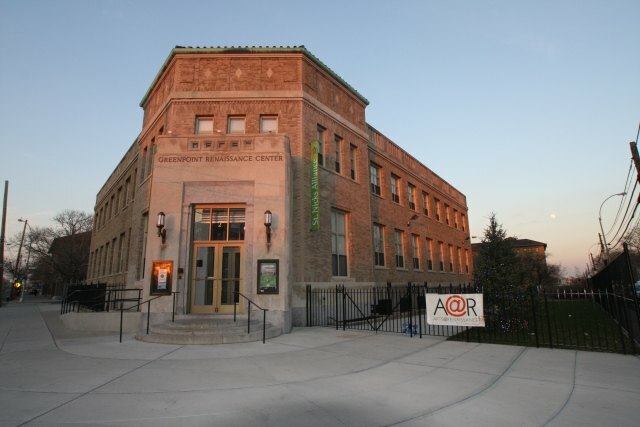 This combination of an active community center with a professional art production under the same roof is what makes A@R such a unique place. 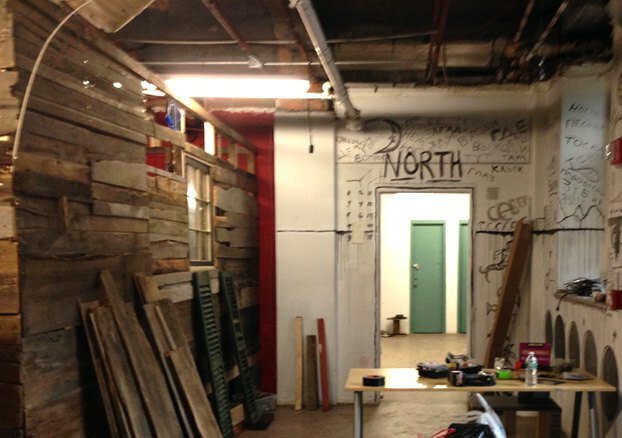 Founded in 2010, A@R offers two separate tracks: a site-specific residency for arts organizations to produce new work with community relevancy and a studio residency for North Brooklyn residents that provides selected local artists access to free workspace. As spaces become increasingly unaffordable in the area, it is getting more competitive to get into the residency, Mr.Henderson admitted with an apologetic tone. 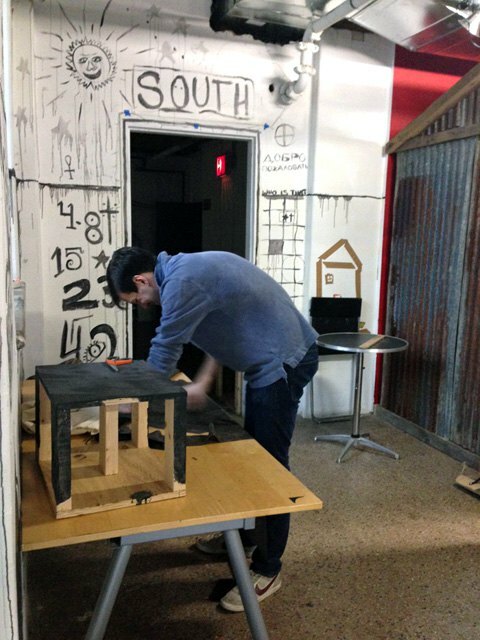 While political struggles, expanding gentrification and other complex economic drivers will determine the future of this one of a kind art venue, Brooklyn residents should be aware of the hidden jewel that not only serves as a vital community center but also gives a substantial platform for innovative artistic expressions. Appointments can be made by emailing artsATstnicksalliance.org.